Colombian Madsen chambered in .30 M2, aka .30-06. 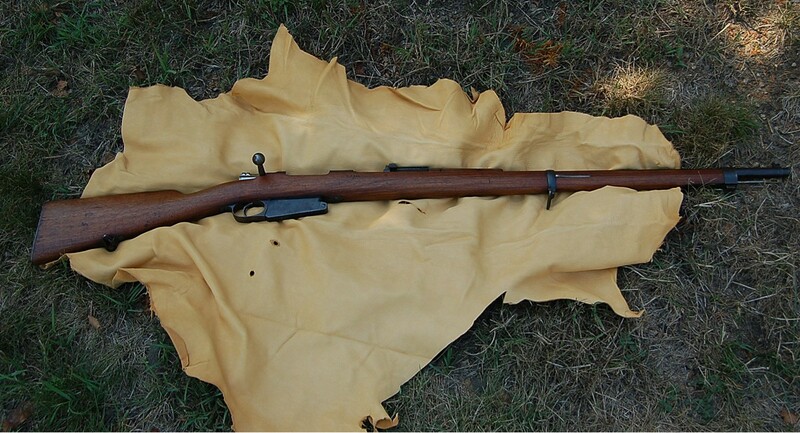 This was the last bolt action rifle purchased by a country for their military that was almost but never was! They were not issued and eventually made it into the surplus market. Spanish FR-8 - every collection should have one! Very nice. That Madsen is something I don't see everyday and you are correct about the FR8, everyone needs one. The FR-7 and FR-8 are 7.62x51mm both CETME and NATO is fine to shoot in them. .308 I would not use. I need a matching FR-8. I sold my bolt matching FR-7 but I did like it. Also need a Brazilian Mauser M968 Mosquefal. The Madsen, M968, FR-7, and FR-8 are all similar. Cool looking military bolt rifles that were past their time but still very functional.